“Are you fine?”, Peter asked. “Yes, we are fine,” I answered. War? Maybe. And much worse - rumours of war. At first the chatter was impersonal: “A bomb was thrown.” “This one was killed.” Then it became personal. “My brother was killed.” “My uncle.” “My nephew.” “My wife’s mother.” Always the ‘other’ group the aggressor, and ‘our’ group the only victims mentioned. Incendiary rumours taken as fact, whipping up emotions and anger. Hardening hearts and faces. I’ll let Grant describe the situation. January has been hectic. It was a joy to welcome visitors here in the Gambella Centre from Pittsburgh, South Carolina, Toronto, Ireland, and from Addis Ababa. Some taught, some painted, some did carpentry, some catalogued books in the library, some preached in our churches, or taught groups of clergy and lay readers, Others taught Sunday School teachers in several different locations. All were a joy to work with, and all contributed to the life of the church here. 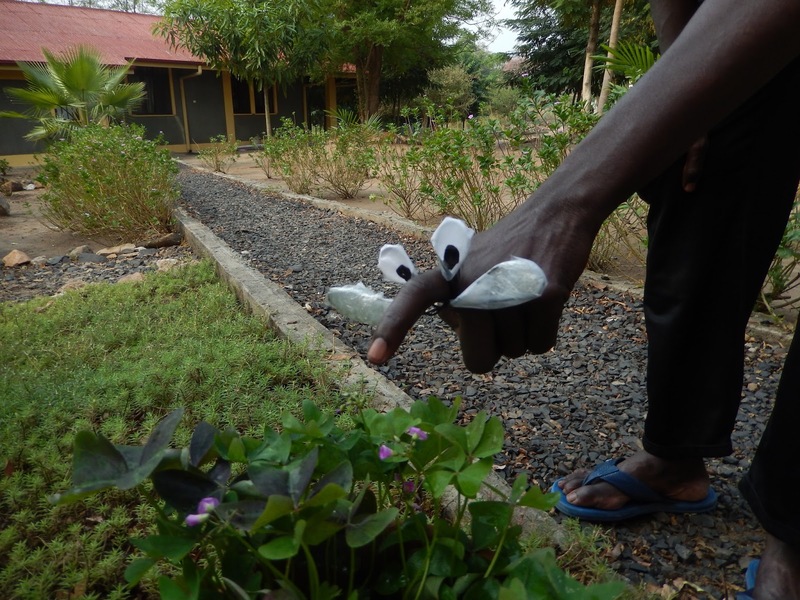 But as the last guests were leaving, life in Gambella began to unravel. It started as a dispute between two local Gambella officials. Well, apparently that’s how it started. Accurate ‘news’ is hard to come by here at the moment. Innuendo and rumour substitute for anything close to ‘fact’ or ‘reality.’ In any event, the two officials were from differing ethnic groups. 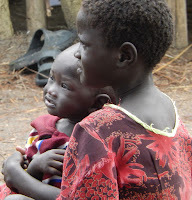 The Anuak and the Nuer have always lived in a very uneasy tension in Gambella, tension which can flare up quickly. The two officials and/or their representatives had guns. Guns were fired and at least one person was injured. In apparent retaliation, a pregnant women from the other group was beaten. Two days later she and her unborn child died of their injuries. Then came the explosion - literally. At a local college someone let off a bomb. Rumours as to the nature of the explosion include that it was a grenade, a landmine, or some more improvised device. Students from one group began throwing rocks at students of the other group. Police came and began firing in the air, or perhaps lower ... panic set in all over Gambella town and other towns in the region. Everyone's cell phone was buzzing with so-called information, or at least with hearsay about what had happened to ‘their people’. My clergy began phoning me and texting me. Much of the ‘news’ was inaccurate, although it was clear that death and injury on both sides was mounting up. Some accurate reporting was mixed in with the speculation. 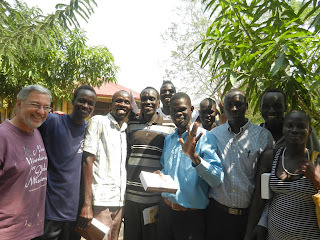 Our theological students, both Nuer and Anuak, lost family members. On the night of Jan 29th much shooting was heard from the centre of town. Worries were that there was a gun battle in the streets. It seems now that the suddenly over-crowded prison experienced a mass jail break. A woman who cooks for groups on our compound lost a nephew in that violence. Doubtless we will learn of more deaths in the coming days. No one knows the number of casualties from this whole event. Or, if they do, they aren’t telling. Twenty seems to be the best guess. On Jan. 30th, the Gambella Centre, received an unexpected influx of local ‘refugees.’ About 70 women and children from the small community nearby our compound suddenly walked through the gate. I’ll let Wendy describe their visit. As they entered our compound, they reminded me of of the lines of refugees we saw heading into Akule refugee camp two years ago: women with their meager belongings on the heads, little babies in their arms, and children, silent, stoney faced, walking alongside. One difference - razor sharp spears and deadly pangas (machetes) were carried by a few of them, mostly boys, 8 or 9 years old. They had heard that 'people were coming to kill them', and they fled to us for refuge. "What can we do? ", I wondered. "We have no stores of food and no means of defending them." Inwardly I stepped back into Peace, and greeted each with a smile. I looked into the dull eyes and hardened faces. The sun beat down. “Water,” I thought. “Give each a cup of water.” As I gave each a cup of water, I looked into their eyes. 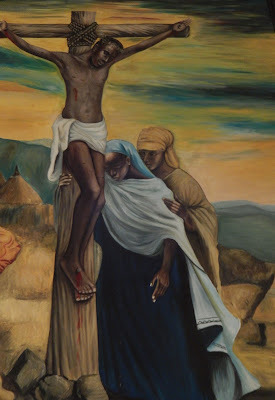 It was the children who softened first. Slowly, shy smiles answered mine. Eyes began to brighten. It was lunch time. “They must be hungry,” I thought. I remembered yesterday, when the lunch prepared for 10 people stretched to amply feed almost 30. I had bread and ‘Injera’ enough for ten. But what was that with such a crowd? “Test Me in this,” the thought seemed to come. Grant went to get some peanut butter crackers left by our visiting team from South Carolina. Everyone had at least 4 or 5 pieces of the bread, injera and crackers ("biscotti"). Some of our Anuak students were with us. They and Grant led us in prayer. Johann, who had been driving various ones to safety, reported that the roads were empty of invaders. Federal troops lined the now too-quiet streets. Our neighbors relaxed, and leaving their precious bundles of possession temporarily in our care they left for home, with thanks and with blessings on their lips. After convincing our ‘visitors’ to sit and give up their weapons we heard their worries. They had been informed that the other ethnic group were coming to kill them. We made some calls and ascertained that there was no hostile group on the way. We gave them water and whatever we could find to feed them - and most importantly we prayed with them - and after a few hours they relaxed and began to head back to their homes. I was grateful that they decided that our compound was the safest place to be in a crisis - even though our dilapidated barbed wire fence wouldn’t really keep anyone out (a cow walked through one section a couple of days ago!). The army has moved in to restore order - we pray that the soldiers may not over-react and may act wisely in a chaotic situation. Their task will not be easy. It is clear that the town is over-crowded. Shortages of power, water and many other things have left people on edge for months now. One group blames another for the problems. 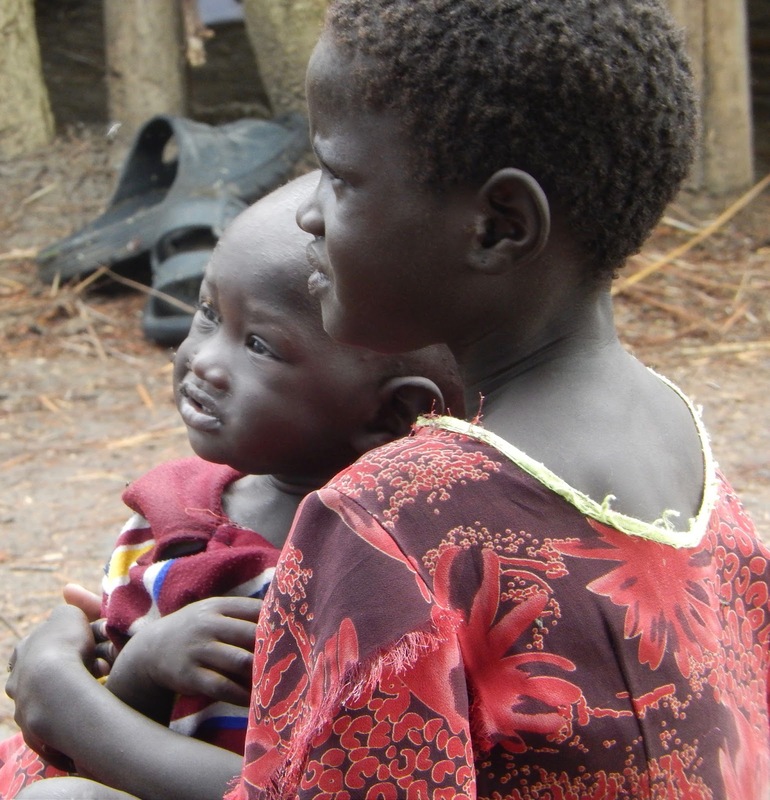 We don’t know the future for the Gambella region. At the moment hatred, anger, grief and fear are ruling the hearts and minds of many; in the short term, instability, insecurity, and suspicion may remain for some time. Our prayer is that our churches and our pastors will be calm, will preach forgiveness, will welcome and advocate for people whose language and culture is other than their own. Last night Cham, our cook for visiting teams, came to us. “Many are wounded now,” she said. My nephew was killed last night, and I am afraid. Can my daughters and I come and sleep in the kitchen? The Gambella Anglican Center has become a place of refuge and prayer. Please join us in praying for these dear people, caught in a long legacy of suffering and revenge. We, the ‘Ferenge/Engelize/Kawaja’, now each have a bag packed and ready. We do not want to leave. Many troops remain in the town and fear is still evident. Nuer and Anuak are not crossing into each others’ parts of town. Our theological college is running classes in two separate places. But life is slowly getting back to normal. Buses have started running, banks and shops are open again. Thank you all for your continued prayers. St Frumentius students with Grant and faculty member Jeremiah Maet, taken the day before the trouble began. ~ Pray for our wisdom and discernment regarding the safety and well-being of our staff and faculty. 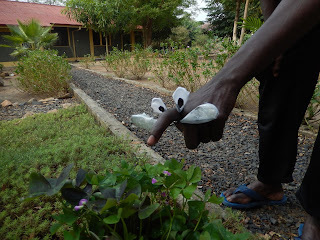 "Mosquito" used in our Mothers' Union teaching on Malaria, during the dramatic presentation of "Helping Each Other when Little Things cause Big Problems"